Fall is one of the most magical times of the year on The Kenai, Alaska’s Playground. The morning air is crisp and fresh, the fall foliage surrounds you down every road you drive, the sunsets are electric, the alpenglow’s are magnificent, the pumpkin flavored treats are utterly delicious and the cozy moments spend indoors are filled with nostalgic moments. 1 – Get outside and spend the day hiking and soaking in the fall foliage. 2 – Enjoy the final days of RV season and enjoy an overnighter. A mini road trip from Seward to Homer (while stopping in every town along the way) is the best way to drink life in. 3 – Wet some lines and enjoy the spectacular scenery, without the ‘combat fishing’ mayhem. 4 – Take a day trip along the Seward or Sterling Highway and stop at all the pull outs to take in the epic views. 5 – Treat your fur babies to as many outings as possible before the snow flies and their paws can’t handle the trek without booties. 6 – Hop on the Alaska Railroad for a day of rest and relaxation, and enjoy off-the-grid views along the way. 7 – Rent a public use cabin on The Kenai, Alaska’s Playground and unplug for the night. If you prefer to have some more frills and creature comforts, take advantage of the awesome shoulder season prices that are available now at hospitality spots all over the Kenai Peninsula. 8 – Enjoy wildlife viewing and watch as the bears fatten up before heading into hibernation. 9 – Go biking in the backcountry and cover as much (stunningly beautiful) ground as possible. 10 – Chase as many sunsets as humanly possible. Even if you loose a little sleep, you will NEVER regret it. 11 – As the temperature continues to drop, use every excuse possible to make a fire and have a cozy night in. Don’t forget the snacks, movies and soft blankets! 13 – If the forecast calls for a Northern Lights show, stay up late and soak it in. Being tired the next day will be worth it after you lay eyes on the Aurora Borealis in action. 14 – If it’s chilly or gloomy, have fun by visiting places like the Alaska Wildlife Conservation Center in Portage or the Alaska Sealife Center in Seward. Fun for the whole family! 15 – It’s okay to blend in with the crowd. Sometimes ‘status quo’ just feels way too good to ignore. The warm and fuzzies that remind you of childhood should be celebrated as often as possible. Soak in the magic of the season by doing all the traditional favorites that spark a major dose of nostalgia – and love every single minute of it! 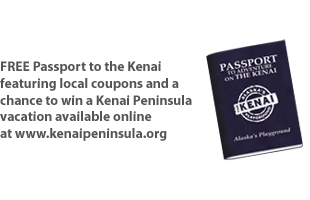 Need more ideas to keep you busy this fall on The Kenai, Alaska’s Playground? Leave a comment below or feel free to shoot us a personal Facebook message.